Here, we specialize in providing you with the highest level of chiropractic care in the area. Our highly experienced and skilled chiropractic team is here to assist you in leading a healthier life. Our conveniently located Bossier City office is open Monday through Friday at convenient hours to suit your busy lifestyle. If you've been experiencing back pain, neck pain, or other chiropractic issues, the first step is to contact a trusted Bossier City chiropractor today. We know that choosing the right chiropractor in Bossier City can be a challenge, which is why we strive to make your choice as easy as possible by providing the best chiropractic and wellness care to each and every one of our patients. From the moment you set foot inside our office, you'll feel welcome and at-ease; our team will go above and beyond to ensure that you feel comfortable, taking the time to answer any questions you may have as well. One of the most common reasons patients come into our office is to find relief from their back pain and neck pain. There are many potential causes of this type of pain, ranging from poor posture on a day-to-day basis to sports injuries and other trauma. Our staff will take the time to determine the cause of your pain and come up with personalized treatment options to help you find the pain relief you need. For instance, our very own Dr. Wiseman has found that Integrative Dry Needling tends to be an effective method for relieving headaches, neck, and back pain right here in or office. 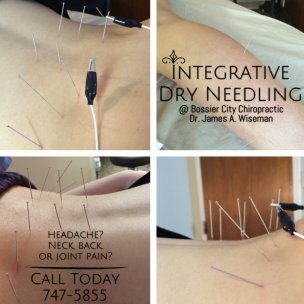 Dr. Wiseman was the first chiropractor in the Shreveport/Bossier area that has been trained in Integrative Dry Needling. He successfully completed the integrative dry needling training for pain management and sports medicine. After that he completed the advance dry needling course for sports medicine and rehabilitation. He studied under Dr. Yu-Tao Ma PhD who is the director of the American Dry Needling Institution. 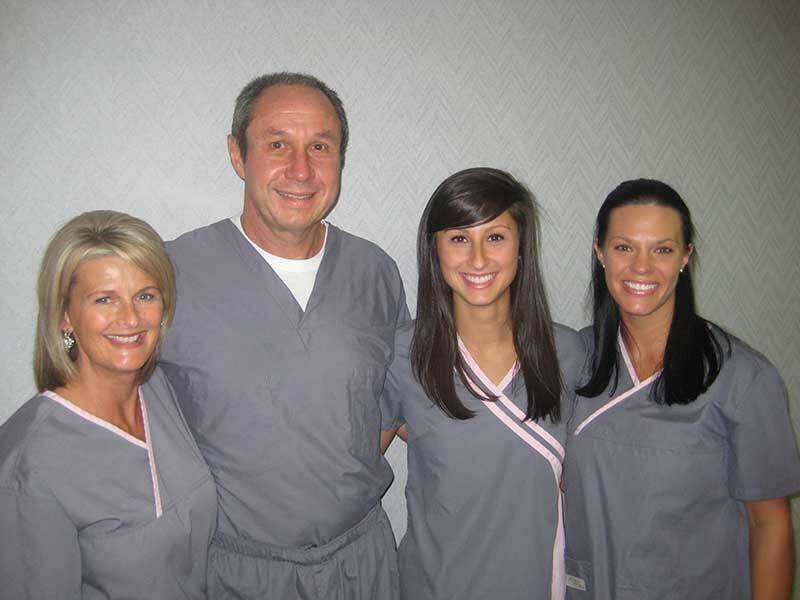 He is one of the leading authorities in the world in this procedure. Dr. Ma was trained as a neuroscientist and has conducted research on rehabilitation and pain mechanism for the past 22 years. With this procedure, which differs from acupuncture and is based largely on Western medicine, we carefully insert needles into points that correspond to certain nerves and muscle trigger points. The end result is successful treatment of pain, especially when used in combination with chiropractic manipulation. Dr. Wiseman is also a registered medical examiner on the Federal Motor Carrier Safety Administration's National Registry of Certified Medical Examiners, and is qualified to preform CDL/DOT physicals and Drug Testing in compliance with the DOT employment drug test requirements. Our team has the state-of-the-art technology and experience needed to help you lead your healthiest and happiest life free from pain caused by chiropractic problems. With the right Shreveport chiropractor and team on your side, just about anything is possible. If you've been experiencing back pain, neck pain, or other chiropractic issues, the first step is to contact a trusted Bossier City chiropractor today. Here at Bossier Chiropractor Diagnostic & Treatment Center, we're here to help you find relief from pain and lead a healthier life. You can give our chiropractor in Shreveport a call at (318) 747-5855 to request an appointment or to simply find out more about the services we have to offer. We look forward to serving you! We love to hear from our patients! Let us know how we did.